It never ceases to amaze me how hard small business owners work in order to achieve success. Contrary to popular opinion, there are very few perks to owning your own business: long hours, very little time off, on call and on the clock pretty much 24/7. If love makes the world go ‘round, small business owners are surely the cog that keeps the wheels of commerce turning. The last few weeks we’ve been out on the show circuit, both trade and consumer, and came away with the knowledge that it is a jungle out there! In an environment where everyone is in the same boat, how do you stop the parade of potential customers so they don’t pass you by? A set of clear goals that is. What are your expectations for the show you will be attending? Are you focusing on business promotion or is this the stage where you launch a new product? You can have more than one goal but you need to be clear about what your participation is going to achieve. A successful display is one that is planned with the audience in mind. Who is it that you are targeting with your display? An important question to ask yourself since audiences “shop” shows differently. Invite clients, customers, suppliers and other contacts; this is the stage made for social media and where Facebook and Twitter shine. Do you know your booth number in advance? If you do, make sure to feature the number prominently in your advance advertising. Spectra Print’s Marketing Director Al Scherwinski says five basic elements for show booth displays are memorable visuals, headline, copy points, company logo, and web/blog presence. Select your trade show graphics carefully; simple, bold and clear images work best. Choose your words carefully and keep your display headline simple, clear and to the point. Chances are, people that did not plan to visit you at the show will more than likely walk past your booth. If this is your only chance to grab their attention, you will need a carefully thought out and compelling headline to make them want to find out more about your company. It makes sense that the shorter your headline is the larger it can appear on your show booth display allowing your display to reach farther into busy show traffic. Even a small table top display with a short bold message can be seen several yards away. While it is tempting to write a description that explains everything your customer needs to know about you - don’t. As much as you would like them to, most show attendees will not want to spend a ton of time reading about your company. Use bullet points, keep your message short, don’t get too technical and remember to keep your company name front and center. 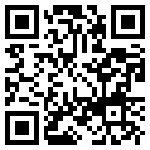 Utilize QR codes to feature your social media and web site presence. Now that you have a stack of requests, make sure follow-up correspondence is priority one when you are packed up and homeward bound. Next week’s blog post will conclude the show marketing discussion. Stay tuned! Here is a YouTube portion of a seminar presented by Jennifer Young at the opening night of the All Canada Show at the Marriott West in Madison, WI. Jennifer's presentation, "Couples and Kids Fishing in Canada," featured a number of slides, sharing the success of Jennifer's many trips to Canada over the years with her family. Common sense tips included opening both car windows on the drivers side of the car when crossing the border to allow the agent to see into the entire vehicle, reminding your children that only the driver of the car should answer questions posed by the border agents as well as speaking with your guide ahead of time to arrange for those much needed "nature" breaks. Jennifer will repeat her seminar again on Tuesday, January 25, 2011 at the All Canada Show. Click here for the entire seminar schedule for All Canada - Madison, WI. Do you have a funny story to share with Jennifer or have any specific questions for your upcoming trip with your significant other fisher person or family? Contact Jennifer Young by clicking on this link which will take you to the contact page for All Canada Show. The next big thing to hit the online marketing industry - flipping books. With just a few clicks of a mouse, clients can transformation their print-ready promotion material from a static PDF to life-like flip books with all the bells and whistle functions: search, zoom, hot-links and other reader interaction features not available in printed versions. Sometimes referred to as e-catalogs, digital catalogs and flash catalogs, flipping books can be used either on or off-line without having to purchase additional software. All that is needed by the reader is a current version of Adobe Flash Player, which is available free-of-charge from Adobe. MirroCraft Boats has utilized flipping book technology for their online marketing, which you can access here. Our graphic designers can convert your PDF documents into a flash page flip book your readers can access by turning (“flipping”) each page of your document. Digital flipping books create a user-friendly interactive experience for your readers allowing them to view the images and read the text as if your promotional material were right in front of them. In addition to the wow factor, imagine your client’s reaction to being able to view a video and access links all from the reader interactive pages of your company’s flipping book. Apple iPhone has a mobile app that supports flipping pages and Adobe has released Adobe AIR for the Google Android mobile platform with support for other platforms like the BlackBerry soon to follow. Check out your mobile phone app store for more details. How can digital flipping books be part of our online marking online solution? In addition to the introduction of the Spectra Print blog, Spectra Now, this week marks the roll-out of QR Codes at the All-Canada Show at Pheasant Run, St. Charles, IL. 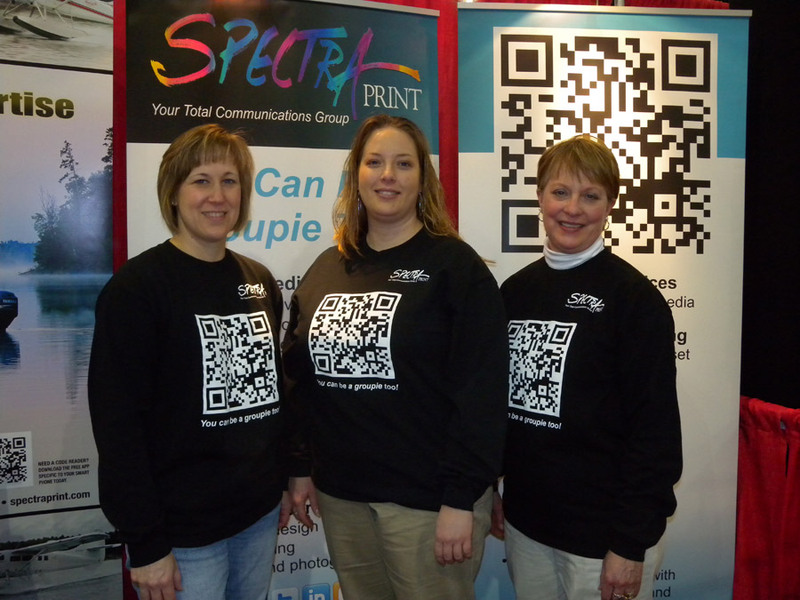 With the QR Code for the Spectra Print web site prominently displayed on the booth banner and on the newly designed business cards, Spectra Print is definitely causing quite a buzz at the All-Canada Show. Oh and did we mention the QR Codes on the shirts? What is a QR Code? No, you are not looking for Elvis. The unique bar code known as a QR or Quick Response code lets your customers - and potential customers - instantly learn more about your business by visiting a mobile version of your web site home, special landing page or blog via a QR code reader app on any smart phone. The QR code could quite possibly become your business' new best friend. You may have seen QR codes scattered around and not known what they are; essentially they are a two-dimensional bar code but instead of being limited to storing numbers on groceries, QR codes are able to store things like strings of text, URL's, emails and much more. Terrific. But what's the point and how is this going to help me? Think about it this way. Nearly everyone has a smart phone and with a reader app, the phones have the ability to read the QR codes and instantly direct them to your specific page on the Internet. Imagine the response if your business' QR code was on your business card or to allow a potential client the opportunity to view a video about your business or a product review or to find a coupon or special offer? Welcome to the roll-out of the Spectra Print blog. Our goal at Spectra Print has always been to "provide our customers with high quality printed products and effective marketing solutions ..." In today's fast-paced, technology driven environment, it now includes incorporating social media into our customer's advertising arsenal. The most frequently asked questions by our customers is, "I know about Facebook and Twitter but how is that going to help my company?" We recognize our clients uncertainty as to how to navigate the social media terrain; you know your destination but you are not sure how to get there. Technology seems to be evolving at a faster rate than our ability to grasp the lessons. While it may seem as if social media advertising has burst on the scene, we've been hearing the buzz for quite some time, incorporating social media into our long and short term company plans. The result is our formation of Spectra Group. We now can help our customers through the maze of social media information, providing them with innovation and creative solutions. Our success is not measured merely by our presence on the social media scene; it is more than just creating Facebook pages and establishing Twitter accounts. We realize there are no "one size fits all" answers to social media questions. We are here to listen to your specific goals for your social media program and will help you obtain the results you are looking for. Companies in today's highly competitive markets face unique challenges, something we understand. 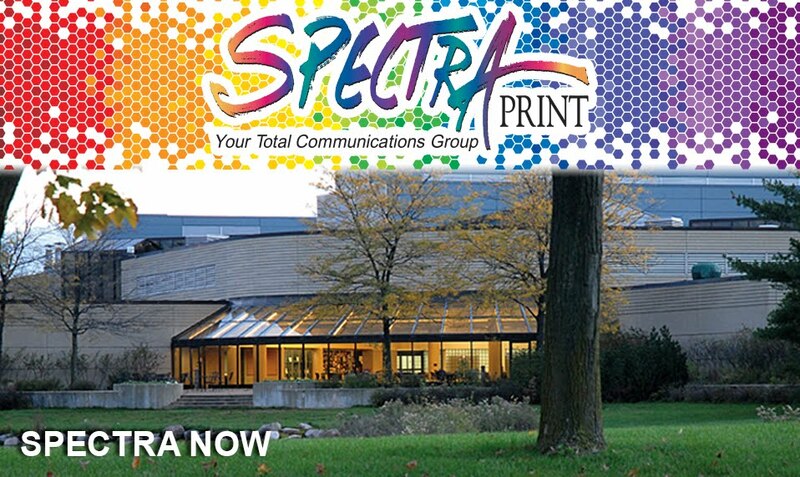 Spectra Print's commitment goes beyond its ability to help their clients online. Our staff regularly attends conferences and will be hosting a social media event in early spring. Social media is now part of our employee day to day activities and part of our entire agency culture. Social media is always evolving and changing and is more than about making friendships and attaining numbers. We realize the value of building relationships with our clients, fans and followers and is more than just posting information. We are excited about this new venture and being part of our client's team - the nice thing about a team is that you always have someone on your side. We invite you to join the group!